This is the latest addition for 8th edition 40K. 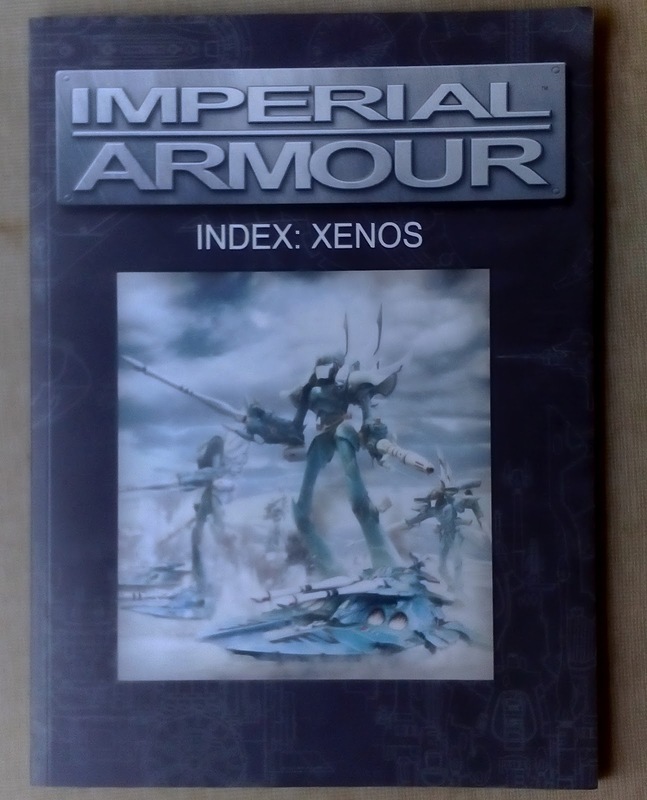 It covers Xenos model from Forge World for 40K. I will give my review of Eldar part of this book. I played Corsairs in 7th edition of 40K, and various detachments from revised edition of Doom of Mymeara. As a Corsair player I have to answer basic question first: Is it possible to play Corsair army in 8th edition after purchasing this book? Answer is: No, nope, no-way-Hose! In this book you will find only units that Forge World currently has models of. That means that for Corsairs (key word Anhrathe now) only three datasheets exist in this book: corsairs, corsairs with jet pack and bikes. No HQs, no elite, no transport, nothing. Nothing! For matched play in 8th edition Corsairs are unplayable. Bad news aside, rest of Forge World Eldar models are now Asuryani, Craftworld, except titans that are Spirit host, Conclave. In line with nurfing most popular models from 7th edition, Hornets received “special” attention in this book. They received price hike, hornet pulse laser lost 2 point of strength, and they lost outflank. Rests of the models are solid, and possible winner is Warp Hunter whose D weapon is now barrage. Flayers are relatively chip, and Nightwings variable wing geometry at last has its own rule (he can trade -1 penalty to hit for enemy, for +1 bonus to hit for himself). Titans, titans… Well, point vise they stayed roughly the same. They traded their Wrath titan and Wrath holo-field rules for meager invulnerable save of variable value depending on how far they moved in previous turn (they have to jump like mad for 4+). The same holo-field is now common for all Eldar FW Lords of war, except Wraithknight. Bigger problem arise if we compare them to Tau’s Ta’unar Supremacy Armour. Ta’unar is chipper the Revenant, and with 40 shield drones (nobody would field Ta'unar without drones) would make short work of it. Battle between Phantom and Ta’unar would be interesting to watch, and uncertain until the end. Only problem is that for one Phantom you can buy more than two Ta’unars. In this book, we received new type of weapons – macro. These weapons are meant for titans, they cannot fire if titan moves, but have damage output against vehicles and buildings doubled. Eldar part of this book lay flat a little bit for me. On interwebs many blame this fact on sadly passing of James Taylor. Maybe that was the factor, or simply this book is hurried so FW could catch up with the 8th edition. GW stayed truthful to its word that every miniature would have its rules in 8th edition. They did not said the same for the armies. To play our Corsair armies we will have to wait for new Corsair codex. I think that we will have one in next year or two.